Before Dusty was two years old, she traveled between many states, finally ending up in a kennel. When she was let out of the kennel, she ran to me, hugged my leg and begged to be taken home. 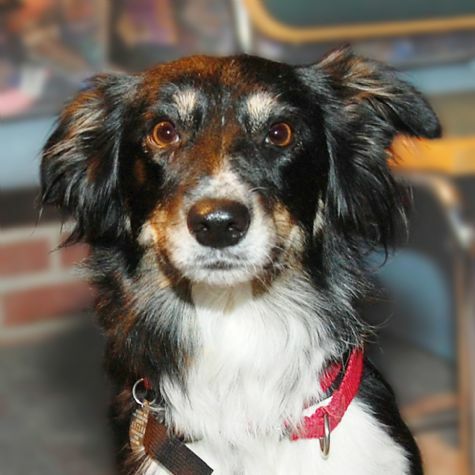 I told her, if Gracie, an English Shepherd mix, says yes, she could come home with us. Well, Gracie looked at Dusty and said "Come with us." Now part of the family, Dusty learns from Gracie. Dusty loves to herd, play fetch, run with a jolly ball, and visit as a volunteer with Love on 4 Paws.